One of the most ultimate Tough Cookies around is now a Bitcoin user herself. Who am I talking about? Why Selina Kyle of course… or as she’s more fondly known to most, Catwoman! 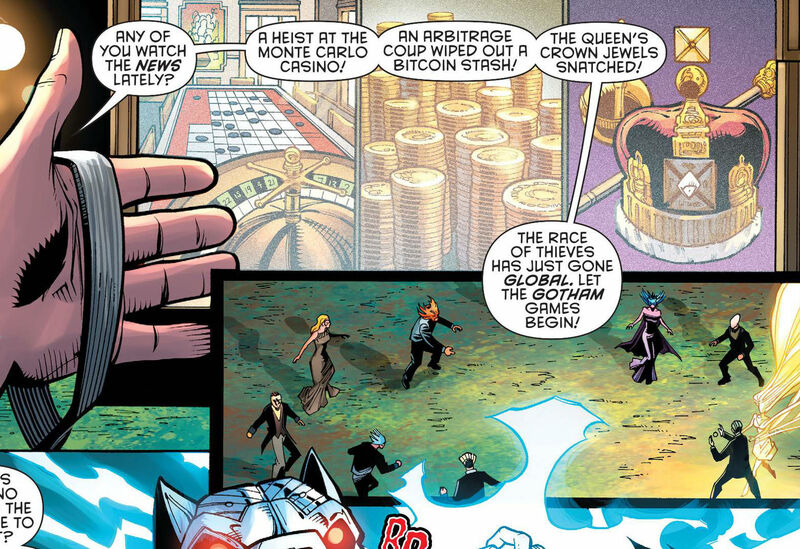 In DC Comics’ latest addition to the Catwoman comic series, Catwoman #30, Selina Kyle uses Bitcoin in order to pay her friend’s hospital bills from afar while maintaining her precious anonymity. That’s right, because she understands the digital currency’s true power. A heist at the Monte Carlo Casino! An arbitrage coup wiped out a bitcoin stash! The Queen’s crown jewels snatched! The “bitcoin stash” it’s referring to is a pile of gold coins, not exactly what the digital currency is in reality. The second reference mentions a character who “saw some floater bids for click-bait to open dead wallets for a Bitcoin theft,” which also demonstrates a valiant effort to use appropriately techie sounding terms, but still fell short of the actually digital currency vocabulary. But whether fully understood or not, it’s pretty clear from the comic that Bitcoin is something of value that can be susceptible to theft. And that part is true. Other than that, it’s just cool that it was mentioned at all. Hopefully we see lots more of those in the future. Until then, we’ll keep our eye on Catwoman and the several other prominent Tough Cookies out there who have already embraced Bitcoin. And I hope you other Tough Cookies out there will join us soon on the Bitcoin train too! On that note, I have a shameless plug. My other company, Money & Tech, is putting together the first ever Bitcoin Beginners Fair tomorrow Tuesday June 3rd @ 7pm in San Francisco. So if you’re around, and want to come to a free event and learn more about Bitcoin, I hope to see you there!